USB DI, USB audio interface from ARX. With the appointment of Scottsdale Arizona based Olsen Audio Group as their Distributor for the U.S.A, Canada and Mexico, ARX's USB-DI series of USB Digital to Analogue interfaces are now available in North America. 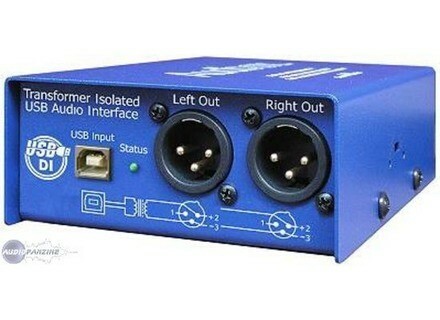 ARX's USB DI's are presented as "Plug and Play" digital to analog pro audio interfaces that remove the need to use existing Computer sound card outputs. ARX offers two models, the USB DI, and the USB DI VC which features a variable gain control allowing audio output levels to be modified, external to the Computer. Full product details are available at www.arx.com.au/International/audibox_usb_vc.htm. The new American site is at www.arxamerica.com. Alfred Diana Krall's Songbooks Alfred Music Publishing has announced the release of three new piano/vocal/chords songbooks by Diana Krall, Grammy Award-winning Canadian jazz pianist and singer. Nucleus Soundlab Synthetic Kits - Advanced Drum Synthesis Nucleus SoundLab's latest Reason Refill is Synthetic Kits, which according to the company uses Thor, Malstrom and Subtractor to go beyond "the tired, old x0x electronic drum sounds." Steinberg Sequel Content Sets Steinberg have released the new content sets - Reaggae, Chillout & Orchestra - that they had announced at Musikmesse earlier this month.